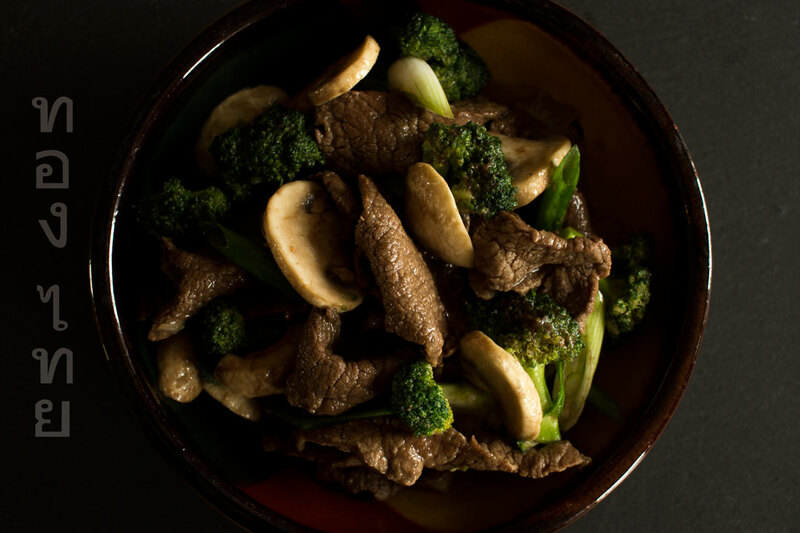 Nothing could be simpler and faster than stirfried beef with oyster sauce, about five minutes of chopping and ten minutes of stirfrying gives a delicious dish. 300g of your favourite vegetables, though include some mushrooms as they are lovely in this dish. Add the beef and stir-fry for three minutes. Add everything else and stir-fry for another four minutes. Serve with Thai Gold Organic Jasmine Rice. Tip: Not hot at all, this dish is not given the chili treatment in Thai cooking. Variation: You can try this with seafood or tofu. Add at Step 4 for a little less time in the pan.